If your business has ever used Google’s advertising services or location extensions for local SEO, you might have recently received a strange package from Google containing an unusual, suspicious-looking device. Relax — Google isn’t trying to spy on you or track you. Well, back that last one up a second — it is a tracking device, but it’s not so Google can track you. Rather, it’s to track your customer activities and visitor frequency. What you’ve received is a Google Beacon. There’s been a lot of buzz and speculation about the effects these devices will have on local SEO, so here’s what business owners should know about Google Beacons so far. Google’s Project Beacon is a new pilot program designed to help businesses become more visible to their customers using mobile devices. When set up in a physical business location, a Google Beacon uses Bluetooth technology to transmit a one-way signal to users’ phones and tablets in the vicinity without mining any personal data. Google Beacon is designed to enhance location functionality for users and businesses. When integrated with Google’s other location-related features, Google says businesses will be better able to gather user-generated content about their business such as photos and reviews from visitors who have actually been inside that business, as well as gain other insights about how visitors engage with the business. In addition, users will receive more accurate information about insights like popular times and visit duration so they can plan their visits accordingly. Google is currently providing these beacons for free to businesses it believes will benefit from the program. How do the beacons work? According to Google Ad Support, the Google Beacon is designed to turn on automatically when it is removed from the box, and it will send a signal interrupted for several years. When you follow the installation instructions to set up the device using the enclosed activation code, the Beacon will be associated with your businesses and begin transmitting your location information within your vicinity. When users have location services activated on their phones, the beacon will help pinpoint their exact location so Google can provide your customers with more accurate location information. What businesses will benefit most from a Google Beacon? How can I get a beacon for my business? At this time, Google Beacons are being sent out at Google’s discretion, so if you receive one, they’ve already determined you might be a good candidate. Theoretically, at least, any business that has used Google advertising and location services is eligible to receive a free beacon. If you haven’t received a beacon but believe your business is eligible, your best bet is to contact your Google sales representative. Already working with Southern Web on local SEO? 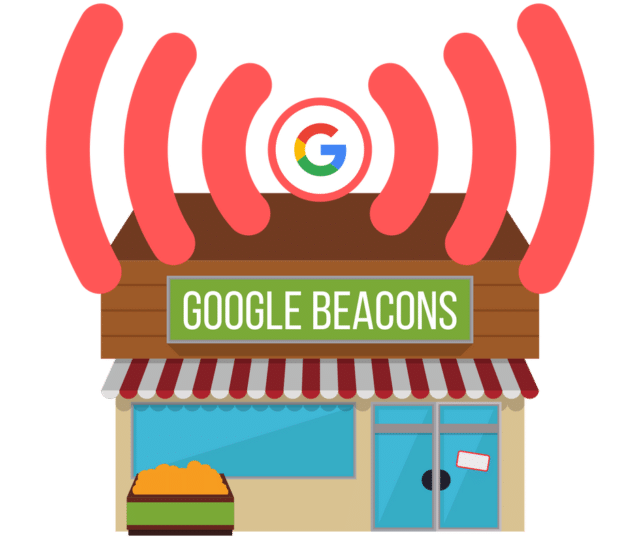 Don’t hesitate to reach out with any questions you might have about fitting a Google Beacon into your local SEO strategy.